The fifth Petrel, a submarine rescue ship laid down 26 February 1945, was built by Savannah Machine Foundry Co., Savannah, Ga.; launched 26 September 1945; sponsored by Mrs. Ellie Jeffreys; and commissioned at Savannah 24 September 1946, Lt. Dennis Hima in command. After fitting out at Charleston and shakedown at Guantanamo and Panama Bays, Petrel returned to Charleston 18 December 1946. She sailed for New London 6 January 1947 to join SubRon 2, and operated out of that base for the next 3 years training and qualifying deep-sea divers and salvage crews, and escorting ships such as Piper and Cochino in tests. Departing New London 23 January 1950, she steamed off Old Point Comfort, Va., where Missouri (BB-63) had run aground. Divers from Petrel surveyed and excavated around the bottom of the battleship, and on 1 February Petrel aided in the big pull that drew Missouri into deep water. After this operation, Petrel returned to New London 6 February but was reassigned to Key West 5 May. Petrel continued training operations, with SubRon 4, at Key West throughout the 1950s, with occasional variations. She towed ex-German sub U-2513 off Dry Tortuga Flats in October 1950 to be sunk in firing exercises by destroyer Owens (DD-827). Exercises in 1952 included re-floating U-2513. In 1956, Petrel had a key role in freeing Nantahala, aground in Key West Channel. On 14 February 1958, Petrel received a distress call at Key West from Guavina (SSO-362), stranded in heavy seas off San Salvadore, Bahama Islands. Steaming to the area and off-loading some of Guavina's oil cargo, Petrel towed the lightened sub to Key West. Petrel continued to operate along the Atlantic coast of the southern United States until sailing in the Spring of 1961 for the Mediterranean for exercises with SubDiv 41, 6th Fleet in June and operated off Portugal in salvage operations after a DC-8 passenger airplane crash. Petrel returned to Charleston 28 August for coastal operations until she again joined the 6th Fleet from January to May 1964. She departed Charleston 12 July for Hamilton, Bermuda, where she aided the Air Force in recovering wreckage and personnel from a 2-plane, mid-air collision. Highlights of subsequent coastal service included accompanying Von Steuben in sea trials in September, work with Sam Rayburn in April 1965, and duty at Guantanamo 28-30 September and during hurricane Inez. Petrel departed New London 6 January 1966 for Holy Loch, Scotland, with YTB-780 in tow. On 17 January, an Air Force B-52, carrying 4 unarmed nuclear weapons, collided with a KB-135 off Palomares, Spain. Petrel was sent to the area to aid in salvage operations and had the delicate task of maintaining position over the bomb. The weapon was brought to the surface 7 April, by Alvin, placed on Petrel, and transferred to Cascade. Petrel then returned to Charleston. Deployed to the Mediterranean again in 1968, Petrel searched for the lost Israeli submarine Dakar 26 January, and missing French submarine Minerve on the 30th. 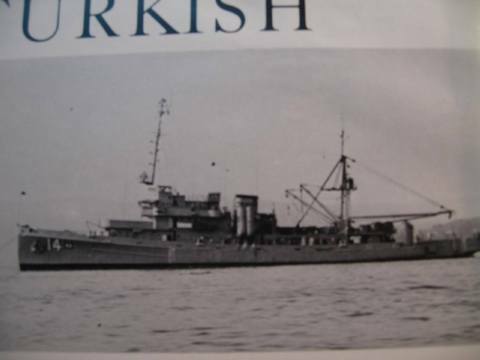 On 12 February, she helped salvage destroyer Bache (DD-470) at Rhodes, Greece. After return to Charleston in May, she joined in the search for missing submarine Scorpion the 27th, and retured to Charleston from the Azores 12 July. She continues operations with SubDiv 41 into 1970.